A welcoming face in Dallas International’s administrative offices, Gail has served as Special Assistant to the President for six years. She cheerfully continues to play an important role in helping students to connect to and to prepare for cross-cultural service. Having studied Accounting in junior college and earned a B.A. 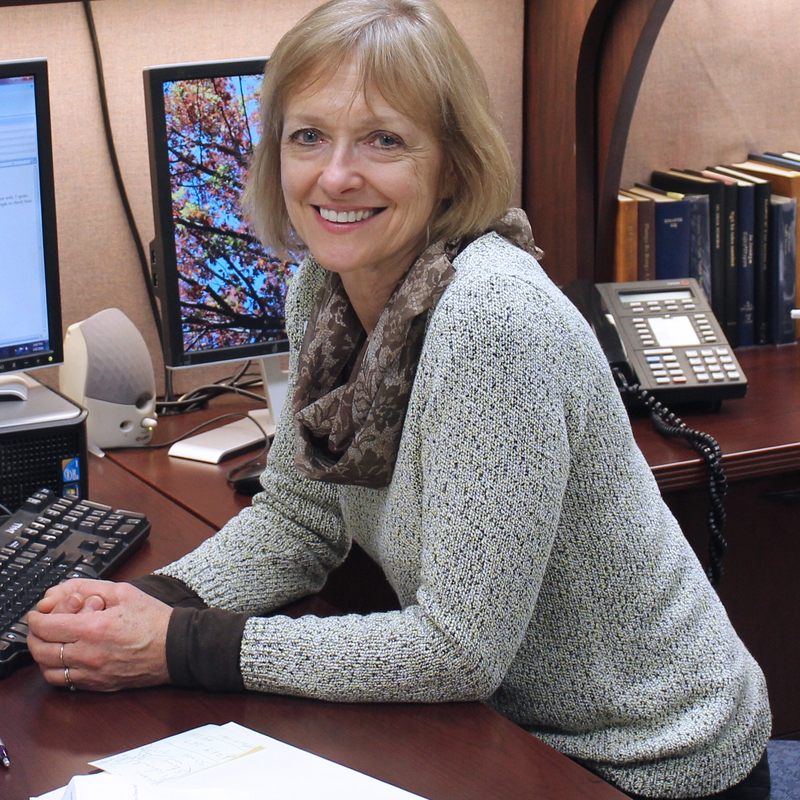 in Interdisciplinary Studies, Gail’s wide skill set equips her well for her administrative role. Furthermore, Gail to serves the Dallas International community through her hobbies: music and photography. She participates in worship on campus and captures school life in photos of students, classroom activities, and campus events for the website and many of Dallas International’s publications. Gail has been interested in cross-cultural service for as long as she can remember. She has visited Hong Kong and the Dominican Republic. From her office at Dallas International, she has enjoyed the opportunity to share this passion for cross-cultural service with others and to help students in their preparation to serve overseas! Gail grew up in rural southern Manitoba, Canada. Gail and her husband, Ron, have two married daughters and five grandsons. Gail had the opportunity to fly a Cessna. Gail’s favorite foods are fruit and ice cream.